The Ku Klux Klan has targeted Ohio along with other states in an effort to attract new members to the white supremacist group. According to Amanda Lee, the national imperial commander for the Loyal White Knights of the KKK, 2017 will see a surge in activity, including rallies and leaflet distribution in an effort to court fellow racists. "We have people all over Ohio already,” Amanda Lee told the Columbus Dispatch. “There is a large membership of Loyal White Knights there." According to Lee, the Loyal White Knights is the largest KKK club in the US. "When things start going wrong, it's time for us to start retaliating,” she said. “It's time for us to get active." It isn’t clear what is going wrong for the Klan, but Lee feels it is critical to counter the Black Lives Matter movement, which campaigns against racism and violence against black people. The Loyal White Knights’ planned a victory parade to celebrate Trump’s election in North Carolina in December, but it had to be moved after counter protesters arrived. 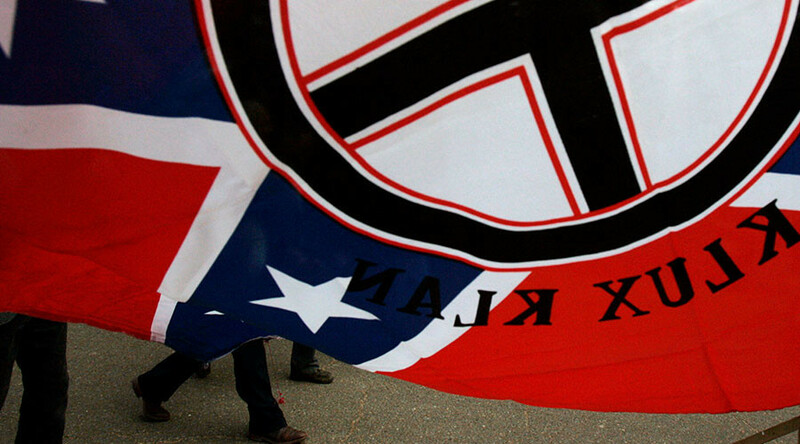 According to the Southern Poverty Law Center, Ohio is home to 34 hate groups, including the KKK, white nationalists, black separatists and neo-Nazis. The most popular white supremacist website, the Daily Stormer, is also run by an Ohio man, Andrew Anglin. Until recently, mailed donations to the site were sent to his father’s business in Worthington. In January, protesters gathered outside to demonstrate against the site. Within 10 days, the address was removed from the website. @hollyzachariah saw your story in the Dispatch. On Sunday, I found neo-Nazi flyers in Clintonville. It’s really disgusting stuff. Last summer, Ohioans reported seeing KKK leaflets around their neighborhood, reading: “White lives do matter!” People in Maine and North Carolina reported seeing KKK flyers in January. Lee claims the KKK is misunderstood. “We don't hate anybody," she said. "God says you can't get into heaven with hate in your heart."